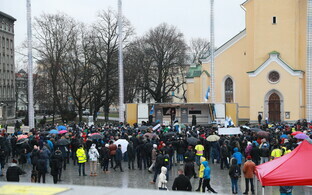 A protest of the Conservative People's Party of Estonia (EKRE) outside the Riigikogu this morning got out of hand when MEP Indrek Tarand (S&D) tried to take the microphone away from MP Martin Helme (EKRE). 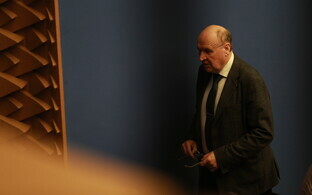 Tarand was kicked repeatedly by the protesters. EKRE called on its supporters to gather outside Toompea Castle, the seat of the Riigikogu, to protest against the UN Compact on Migration. A few hundred people followed the call. 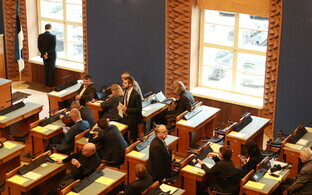 Several politicians of the Social Democratic Party (SDE) were there to meet with the protesters, among them party leader Jevgeni Ossinovski, Minister of Foreign Affairs Sven Mikser and Minister of Entrepreneurship and IT Rene Tammist as well as several MPs. 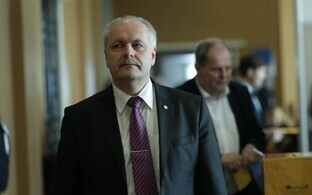 Also present was the party's top candidate for Pärnu, Indrek Tarand, currently a member of the European Parliament. SDE and EKRE are sharply divided on the issue of the UN compact, though the rift predates the current episode; spokespersons of both parties said that they couldn't be in office with each other. The protesters reviled the SDE members and refused to let them speak. 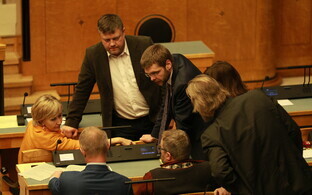 Indrek Tarand went for the microphone, at that point held by EKRE parliamentary group chairman Martin Helme MP. "If you don't want hundreds of thousands of refugees to come here, then vote for the Social Democrats," he said into the mic. In the grapple that followed, Tarand was pushed off the podium, knocked to the ground and kicked repeatedly by protesters before being pulled away from the scene of the protest by a K Security security guard to where a police officer was standing. "I was a victim of physical violence, and as a law-abiding citizen I filed a police report after what happened," Tarand told ERR. "This kind of public attack seriously cannot be allowed." He added, however, that he was not injured in the scuffle. 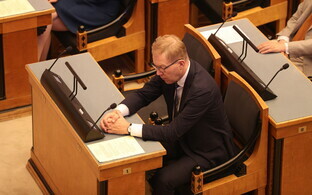 EKRE representatives claimed both during the protest as well as in the Session Hall of the Riigikogu afterward that Tarand was drunk. "Of course I wasn't," the MEP told ERR, something the police later confirmed. Responding to a query by ERR, the North Prefecture of the Police and Border Guard Board (PPA) confirmed that a criminal investigation on the basis of the section of the Penal Code regarding aggravated breach of public order was launched together with the Prosecutor's Office in order to determine all of the circumstances surrounding the incident. 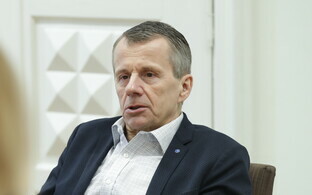 "A physical conflict occurred at the protest in front of the Riigikogu, and police officers took statements from Indrek Tarand as a victim," said Kaido Saarniit, head of the Central Tallinn Police Station. "It was claimed at the scene that [Tarand] may be drunk. Law enforcement officers checked his intoxication level and the man was sober. The goal of our further investigation is to determine all the exact circumstances of the incident." 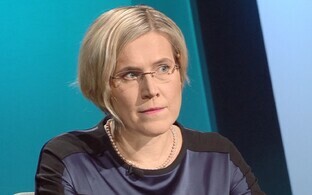 EKRE, meanwhile, filed a police report of its own, claiming that Tarand had come to Toompea Hill to disrupt a peaceful protest. 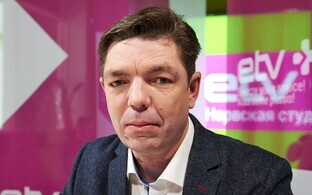 The party is seeking for an investigation to be launched into Tarand on the basis of the section of the Penal Code involving interference with or violent dispersion of lawfully organised public meeting, as he allegedly interfered with a lawfully organised public meeting and broke a microphone belonging to the organisers of the protest. According to Estonian law, this is punishable by a pecuniary punishment or up to one year in prison. 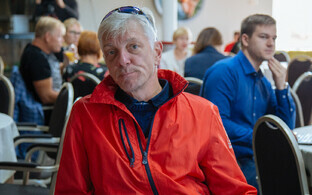 According to Martin Helme, a seemingly drunk and aggressive Tarand got up onto the podium at Monday morning's protest of his own volition, forcefully removed the microphone from the hands of organisers, refused to return it and began shouting messages into the mic that directly opposed those of the protest itself. "That was a completely conscious provocation on Tarand's part, the goal of which was to piss off protesters, have the organisers be hauled off stage and play the victim in the media later," Helme said. "There was no beating of any kind. There was scuffle that was elicited by Tarand's illegal activity." 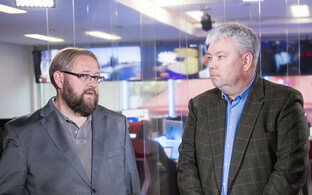 Prime Minister (Centre) Jüri Ratas condemned the violence that occurred outside of the Riigikogu Friday morning. 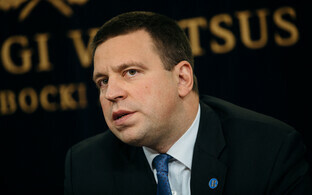 "The Estonian people has always been capable of expressing itself peacefully," Ratas said. "We did this during the days of the Singing Revolution, by standing together in the Baltic Way, and in restoring the independence of our country. We have with the only right decision chosen the path of a democratic society in which we resolve our differences by talking and seeking unity. I condemn the use of any sort of violence in defending one's views and attacking opponents. Instead of our hands and feet, it is our mouths, heads and hearts that must speak." According to Ratas, expressing your opinions in public and the organisation of protests is an inherited part of democracy. "This is accompanied by the responsibility to ensure the safety of participants and bystanders at the protest, as well as respectful behaviour toward people whose views are different than our own," the prime minister stressed. 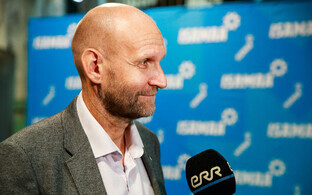 "We unfortunately saw at EKRE's protest today that its organisers were not capable of doing this,or didn't want to. We need to resolutely resist violence and the dividing of our society. In our century-old, dignified country, we need to be capable of discussing even the most complicated issues in an reasonable and peaceful way."